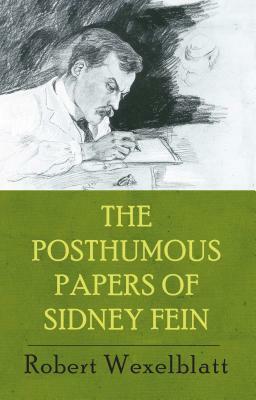 The imaginary author/teacher/father Sidney Fein (1942-1984) was born in Philadelphia, Pennsylvania. His family's fortune came from the business of clothing women of modest means. He attended elementary school in Philadelphia. When he was twelve, his family moved to New York City. He earned a bachelors' degree from Columbia University, where he concentrated in the study of languages and literature. He went on to study at the University of Pennsylvania, from which he received a doctorate in philosophy in 1964. Fein was married in 1966. His daughter, Maya Nunfi Fein, was born in 1967. He and his wife separated in 1973 and divorced shortly thereafter. Fein raised Maya on his own. Thanks to an inheritance, he had independent means which allowed him to write and also to accept occasional teaching appointments. Fein published three books: Diptych on Terrestrial Representation (1973), Want, Desire, and Need (1977), and Aristocratic Democracy (1983). In addition to his books, Fein produced a quantity of verse and fiction, much of it unpublished and some published under pseudonyms. Pseudonymity is just one of the themes of the collection but its scope is wide and unpredictable. Among the thirty-five pieces are a keynote address, short stories, poems, essays on a variety of philosophical and literary subjects, including the work of other imaginary authors. Each piece is accompanied by remarks from the scholar who, at the behest of his daughter, has edited the papers left behind by Fein on his death at the age of forty-two. The book includes a preface from the actual author and a postscript that includes a retrospective essay on Fein's work by an imaginary critic along with notes for the new book Fein was just beginning when he died.